I am so excited to announce my upcoming group for April! 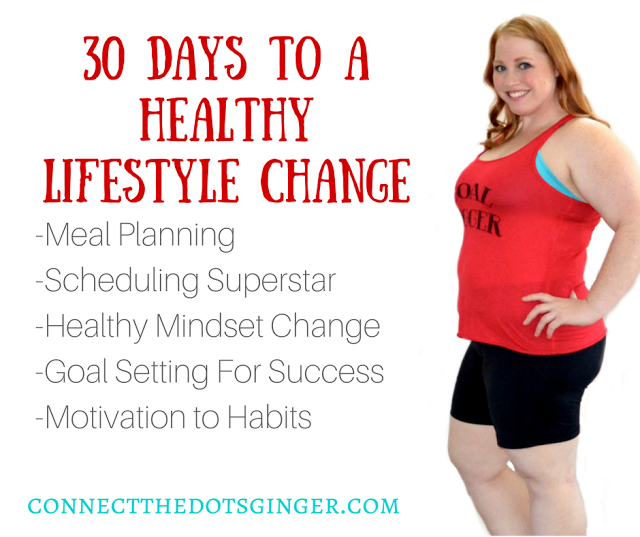 30 DAYS to a SIMPLE HEALTHY LIFESTYLE CHAGE! 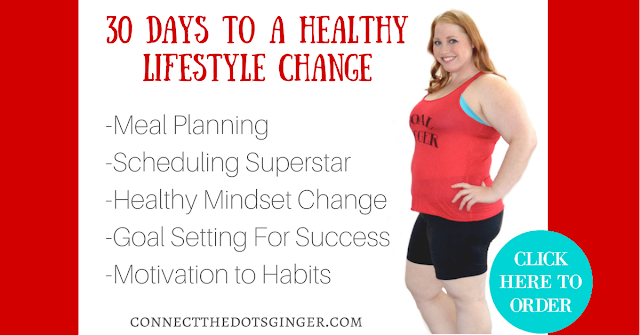 It has taken me years to put these pieces together and to realize that it only takes 5 steps to make a true healthy lifestyle change combined with dedication and commitment of course. I want to share my tips with you to help you get control of your life and to stop yo-yo dieting and have the life you desire and deserve! A live group program to help you make a complete lifestyle change in 5 simple steps over the course of a 30 days. DAILY SUPERFOOD NUTRITION: 30 day supply of super dense nutrition with Shakeology. Help to cut your cravings and get the vitamins and minerals your body needs to help you be healthy from the inside out. EXERCISE PROGRAM OF YOUR CHOICE: 1 (one) year membership to Beachbody on Demand with access to unlimited online streaming of over 40 of the most popular workout programs, including bonus workouts, content nutrition plans and exclusive trainer only content. Plus immediate access to any new workout program released during the year by Beachbody. FOUR 30 MINUTE LIVE GROUP TRAININGS: webinar style with Q&A following. Calls are recorded. SUPPLEMENTARY MATERIALS: Guides, workbooks, tutorials, and even example so that you know what to do and how to put all the pieces together. ACCESS TO MY EXCLUSIVE GROUP: Private FB group. This gives you access to me to ask questions, support, daily motivation and accountability, request feedback, etc. $199 $160!!!! PRICE HAS BEEN REDUCED FOR A 20% discount for a limited time only! CLICK HERE TO ORDER! Beachbody All Access Annual Pass giving you unlimited access to Beachbody on Demand online streaming, your first 30 day supply of Shakeology, and the nutrition fix color coded containers to help with portion control and eating the right foods for your body. Plus you get access to my exclusive group, me as your coach and mentor. 1:1 support. Daily motivation and accountability. Guide, workbook, tools, Community of people going through the process just like you. CLICK HERE to order your Beachbody on Demand and Shakeology and I will personally send you the link to join the private Facebook group and program information. Good Health isn't one thing that you just purchase from a drug store or a mercantile establishment, however may be achieved by active collective patterns of health-related behavior, supported selections made of offered choices. maybe help with that stress you are carrying around in your body and calm your mind. Most of us hear the term wellness and assume that it’s something beyond our reach. Or perhaps we think that wellness is only for advanced yogis, holistic doctors, or wellness practitioners, but not us — not everyday people just working the daily grind and living busy lives. China Bulk Wholesale Supplier in Dubai I loved your article post.Really looking forward to read more. Much obliged. Note that I have excluded the third kind, Cate Blanchett Anti Aging Products "Muscle controllers" as beauty items. These incorporate botox and other intrusive and non-obtrusive, in some cases careful items.